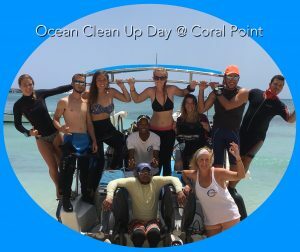 Coral Point staff spent the afternoon working to help to keep our dive sites and the ocean clean. 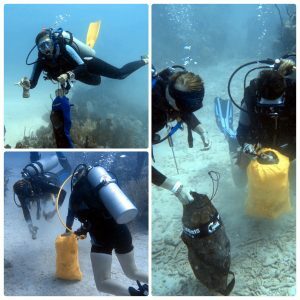 We did a one hour dive at one of our local dive sites with the focus being to search out and pick up trash. 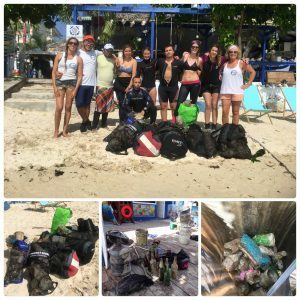 We ended up bringing out about 6 large garbage bags full of various debris that had made its way into the sea along with several big plastic containers. Items found included countless plastic cups, soda and beer bottles, plastic bags, and a even few pieces of clothing. 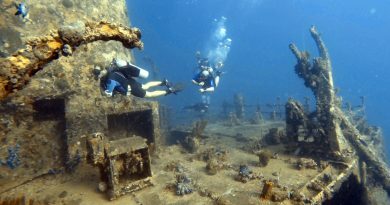 Much of the rubbish found can be extremely harmful marine life. Plastic bags can look like jellyfish when floating in the water and turtles can eat them and then end up choking or suffocating. The same holds true for fish and other marine organisms that ingest various pieces of plastic and other garbage that makes its way into the ocean. 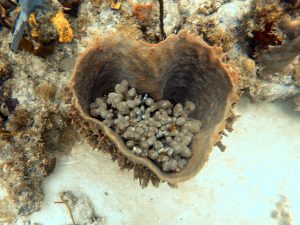 Sea critters can also become entangled in the garbage and then be unable to swim, or can contract infections from wounds inflicted by these foreign objects. Items that sink to the bottom can suffocate and damage coral. You can do your part by helping to keep this rubbish out of the ocean…reduce your use of plastics by bringing along a reusable water bottle, don´t use plastic straws and plastic cups or other one-use plastics, and when on the beach or out on a boat be sure to keep all your items secure so they do not blow off the boat or into the sea. 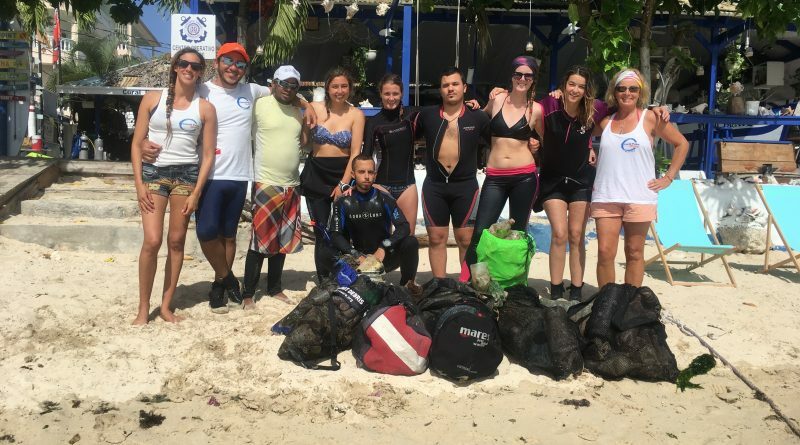 We plan to make this a regular event, and hope to get out once a week to help keep our reefs clean and our marine life more safe. We hope you will help too by following the suggestions above and help to spread the word to others to do the same…the ocean critters thank you!! 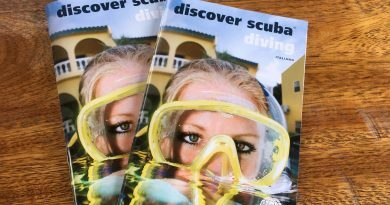 ← DSD (Discover Scuba Diving)….a great way to try diving for the first time!